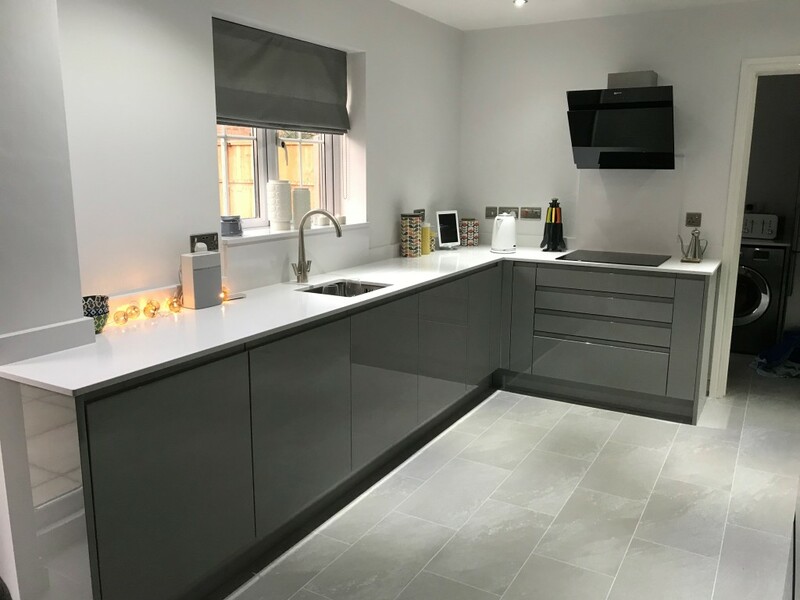 We supplied and fitted a Remo gloss kitchen in Silver Grey & Graphite complete with a quartz worktop in White Storm. The flooring is Colonia and is in Balmoral Grey with ice white grouting strips. All appliances supplied were NEFF. Using our team of trusted tradesmen, we also did the plastering and electrics. Managing all the different trades, saving a lot of headache and juggling to make sure everything was completed in the agreed timescale. Our customers were thrilled and so were we with the finish. Fancy a kitchen like this? Give us a call or use our contact form. We’d love to hear from you! 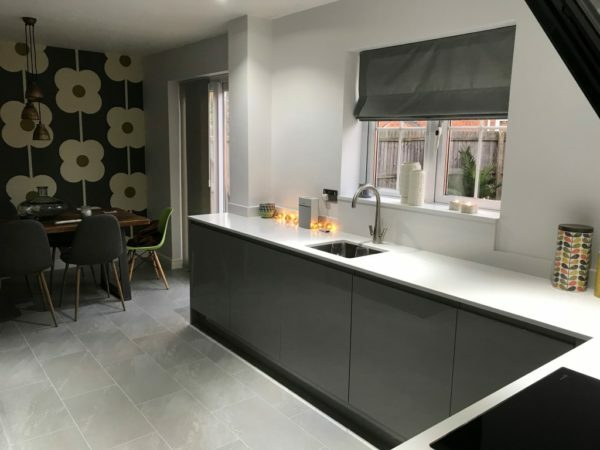 Fabulous kitchen We had our kitchen installed in November 2017, so have had it nearly a year now and are still getting complements!!! Adam responded to any queries or concerns straight away. The units and worktops are of high quality. I can’t praise the fitter highly enough, he was professional, very experienced and did a great job! The experience from consultation to completion was exceptional and they made sure the whole process was as stress-less as possible for us. I highly recommend Love Kitchens. 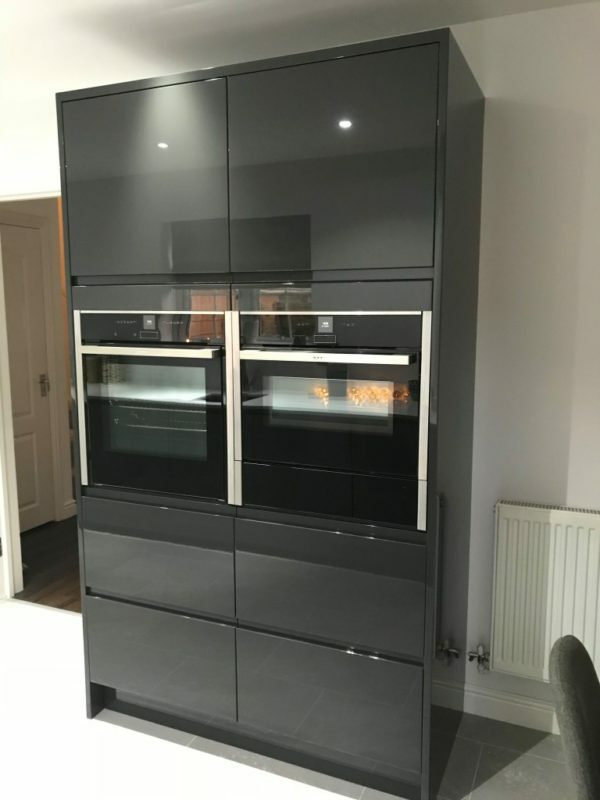 I feel it was good value for a project managed, high quality kitchen. It looks fabulous!! !